Bring a pot of water to a boil. Add green beans, and cook just until tender (about 4 minutes). Drain, and immediately run under cold water. Put on paper towels to dry. 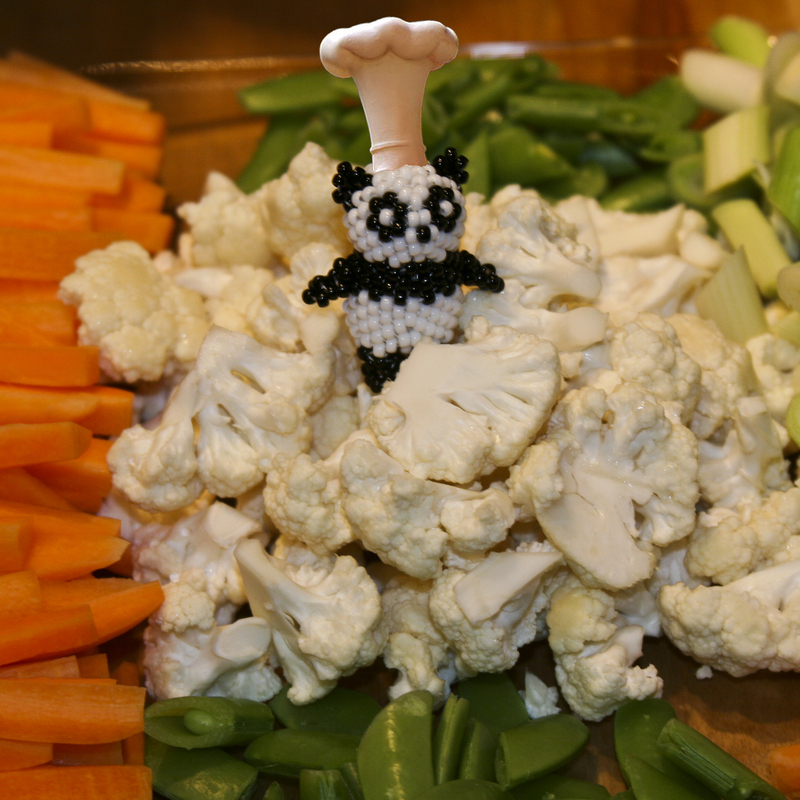 In a medium bowl, combine ingredients for the vinaigrette. Whisk in the olive oil until emulsified. 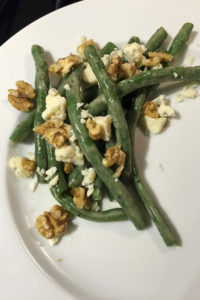 Just prior to serving, toss green beans with vinaigrette. Plate dressed beans, and top with walnuts and crumbled blue cheese. 4 servings.